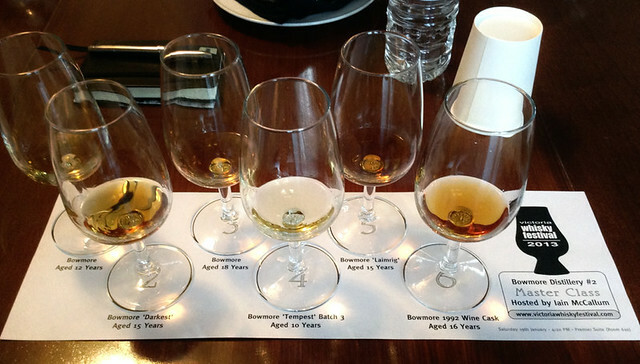 I drank a fair few things at the Victoria Whisky Festival and haven’t got enough hours in the day to write them up in my usual overly wordy fashion. But rather than let my notes disappear into the pile of notebooks on my desk I thought I’d better stick them up here. Firstly, a few Bowmores. In recent times my Islay whisky drinking has become rather focused on Bowmore, pungent peat wuss that I’ve become, so I was rather please to get into Iain ‘Sometimes drinking Black Bowmore for weeks can be really awful’ McCallum’s final tasting of the day at the festival – Davin de Kergommeaux was knackered after a day of Canadian Whisky Awards press and ‘forced’ the ticket on me. What a horrible life I lead. Bowmore 15yo Darkest – Matured for 12 years in bourbon casks and then finished for 3 on oloroso. On the nose it had tarry rope and syrup sweetness, although it remained quite dry. There was also spiced fruit and Jelly Babies, with some coconut and vanilla hiding underneath. To taste it had brine and sour raisins up front, with grapefruit, linseed oil and a touch of the traditional Bowmore florality balanced by cocoa, light black liquorice and a tannic green leafiness (ferns, to use my favourite note). It finished with some soft tar, raisins and a gentle spice. Pretty much what you’d expect from a sherried Bowmore, although with more of a tarry punch than I expected. Bowmore 18yo – A mix of bourbon and sherry casks, married for 6 months before bottling. On the nose it has light, fragrant smoke – like herbs on fire. It also has butterscotch, light menthol, nectarrines, brine and, of course, ferns. To taste there is a big floral note up front followed by prickly mid, sweet syrup, sugared flowers and an oily mouthfeel. It finishes with sweet, floral notes, lightly tannic wood and a touch of sawdust. This seems to be very much what Bowmore are going for – balanced smoke and wood, with a hint of the floweriness that they are known for. Bowmore Tempest Batch 3 – Much loved by m’colleague Tim, this is the third edition of their no age statement first fill bourbon matured dram. Nose: Sweet vanilla and grassy ferns (this is getting predictable), light brine with some pokey alcohols. On the palate it had more vanilla, grassy notes, muddy smoke, woody spice, salted caramel and milk chocolate. It finished with a floral hint, earthy smoke and a bit of fruity sweetness. 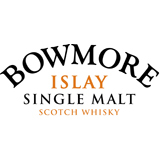 I’m starting to like the Tempest bottlings – definitely Bowmore, with the sweetness and floral hints, but with more of a smokey kick that my increasingly peat-loving palate is appreciating. Bowmore Laimrig 15yo – The name means ‘Little Harbour’ according to Iain and ‘Pier’ from their website. It’s a limited release (15k ish per batch, now up to 3), finished in sherry casks but a shade a lighter than the accurately named Darkest, so I assume not so long and/or not in Oloroso butts. On the nose it has brine and red wine, with tar, blackcurrants, marzipan, raspberry vinegar, vanilla cream, brown sugar, sugared raisins and a touch of menthol. To taste it was sweet and sugary, with leafy notes, light woody smoke and menthol, building in ‘tingliness’ as it sat in the glass. It finished similar to the Darkest, but with more tannins and a touch of liquorice. 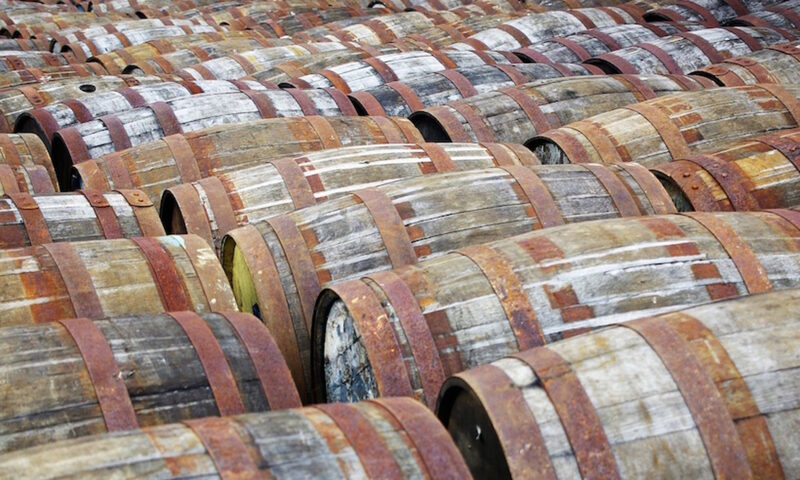 This just goes to show that colour doesn’t tell you all, even when the whisky is naturally coloured like the Darkest and Laimrig are – the latter had more traditional sherry notes despite being a touch lighter in colour, although not intensity of flavour. Bowmore 1992 16yo Bordeaux Cask – A divisive bottling this, with Oliver Klimek telling me that he had not spoken to anyone who liked it as much as he did, ‘finished’ for 9 years in Limousin oak casks that had previously held Bordeaux wine. On the nose it had sour wine, struck match sulphur, vine fruit, ferns (sigh), redcurrants and vanilla sponge. To taste there was distinct sulphur up front, lots of fruit, vanilla cream, brown sugar, sweet apple and black pepper. It finished with soft spice, dried fruit brine and dark wood. I don’t have a copy of Jim Murray’s Bible in the house (don’t/won’t) and thus don’t know what he thought, but I suspect he hated it – it’s big and sulphury and a touch to much for me, although Oliver was pleased to try it again (not that he and Jim generally agree). Islay Single Malt Whisky, 43%. ~$90 Canadian, but sold out almost everywhere, despite being at least 3 batches down. Islay Single Malt Whisky, 53.5%. ~£80, but sold out.